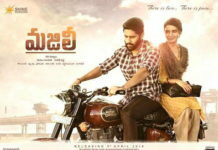 Telugu Movies Industry popularly called as Tollywood produces hundreds of films every year and is the second biggest film industry in India after Bollywood. Telugu Cinema is growing at a very good pace. Tollywood is releasing more around 20 to 25 New Telugu movies every month. With the Huge Success of Movies like Bahubali, there is a lot of interest on New Telugu Movies across India. Nowadays popular Telugu actors like Prabhas, Mahesh, NTR, Pawan Kalyan has a huge number of Fans from other states as well. Producers of the New Telugu Movies starring popular actors like Prabhas and Mahesh are actually making the films multilingual. 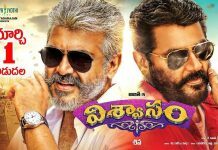 A bunch of movies gets released in Telugu Movies every month and here we have the list of upcoming Telugu movies releasing. 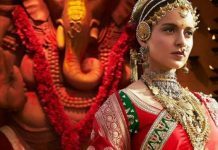 Talking about Telugu upcoming movies, we have a list of all the movies that are going to release in the month of February. The movie listed below are the upcoming Tollywood movies releasing this February. Talking about Telugu upcoming movies, we have a list of all the movies that are going to release in the month of January. The movie listed below are the upcoming Tollywood movies releasing this January. Talking about Telugu upcoming movies, we have a list of all the movies that are going to release in the month of December. The movie listed below are the upcoming Tollywood movies releasing this December. Talking about Telugu upcoming movies, we have a list of all the movies that are going to release in the month of November. The movie listed below are the upcoming Tollywood movies releasing this November. 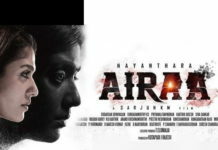 This movie is about a college boy, Vikram Aditya (Naga) suffers from “Vanishing Twin Syndrome” in which he has no control over his left hand most of the time. During his college days he falls in love with Chitra (Niddhi Agarwal), but one day his life turns upside down. 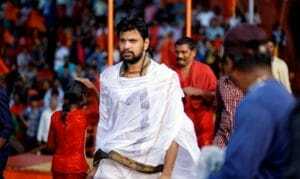 We see R. Madhavan (Arun Raj) playing a negative role, where he kills Virkams brother-in-law and kidnaps his niece. Since then we see Vikram looking to take revenge & his journey to get her niece back from Arun. One of the upcoming Tollywood romantic movie “Chowrasta” is releasing on 5th November 2018. There is no story released about this movie, but it is confirmed that the movie is based on a true story from one of the incidents in happening in Chowrasta. This movie is directed and produced by Yuvaraj, whereas we will see Raja, Shruti, Soumya in the lead role. MUDRA is an upcoming Action-Thriller movie releasing on 8th November 2018. This movie is about an investigative journalist who gets arrested for cheating a bank with his fake documents. During his investigation, he identifies a huge racket behind this scam and decides to investigate it. 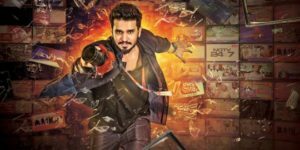 Another Action Thriller movie, Idam Jagath is a story about Sumanth a freelance journalist who is working hard on getting sensational criminal news. The story revolves around one of the incidents where he gets involves during some criminal investigation. 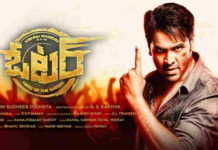 This movie is directed by Anil Srikantam featuring Sumanth in the lead role. Talking about the release date this movie will release on 9th November 2018. Ayushman Bhava is an Upcoming Drama movie directed by Charan Tej & produced by Maruthi Dasari. Charan Tez and Amala Paul in lead roles. it is thrill movie and it has an amazing concept of love. This movie will be releasing on 9th November near your theaters. As the name suggested, Taxiwala is a story of a cab driver who one day meet a ghost passenger. This movie is directed by Rahul Sankrityan & features Vijay Deverakonda, Priyanka Jawalkar in lead role. It is a Thrill movie and it has an amazing concept of how the life of a taxi driver changes after he meets a ghost passenger. This movie will release on 16 November near your theaters.